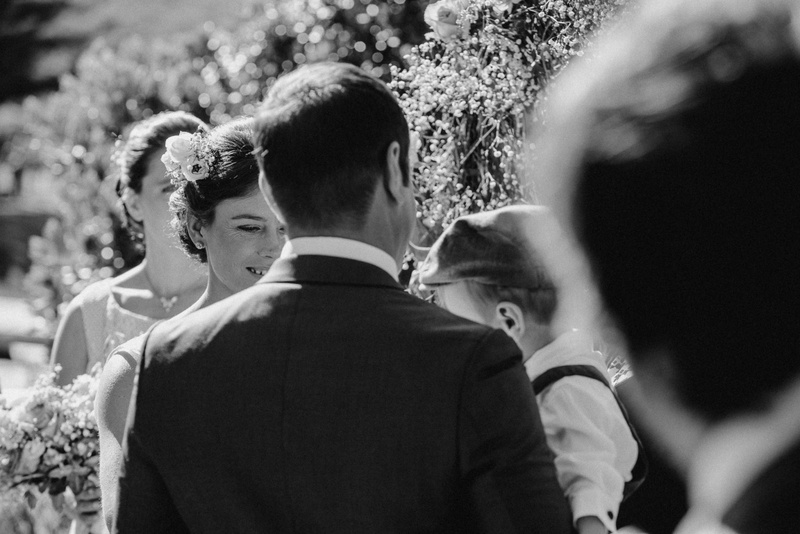 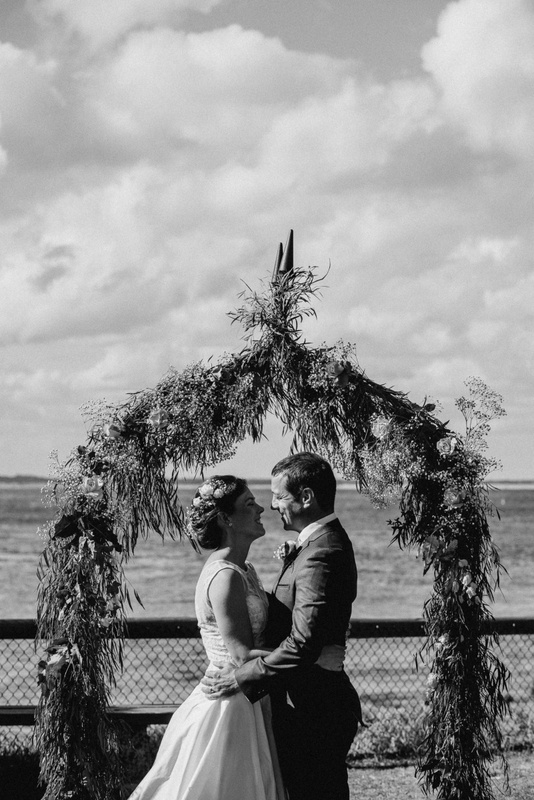 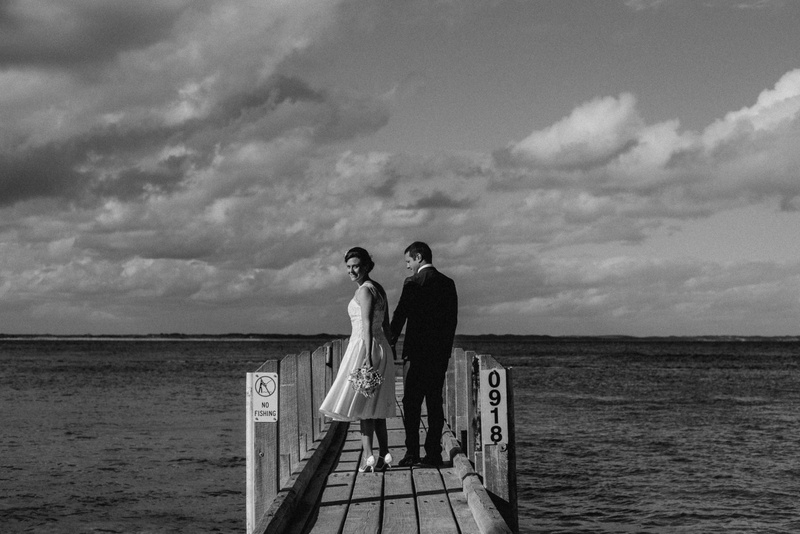 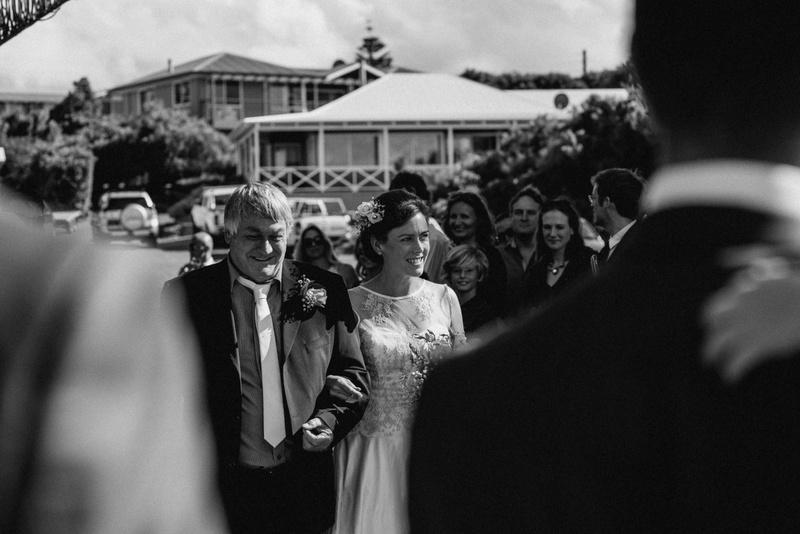 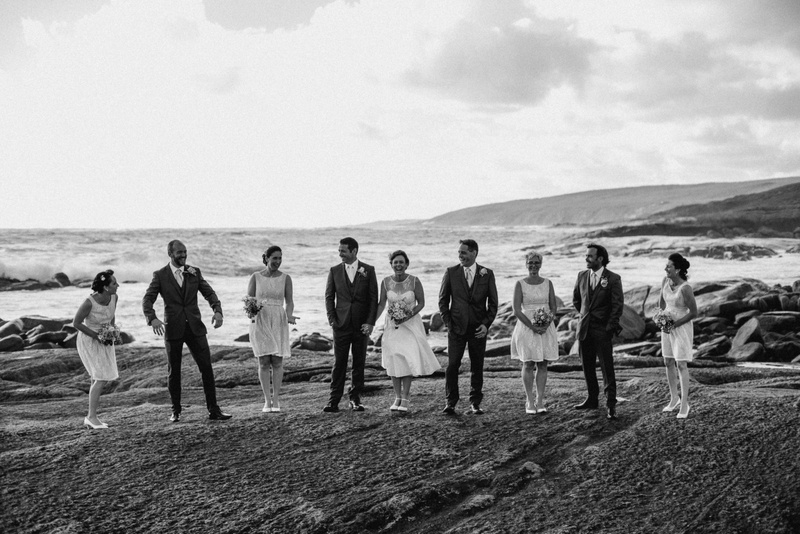 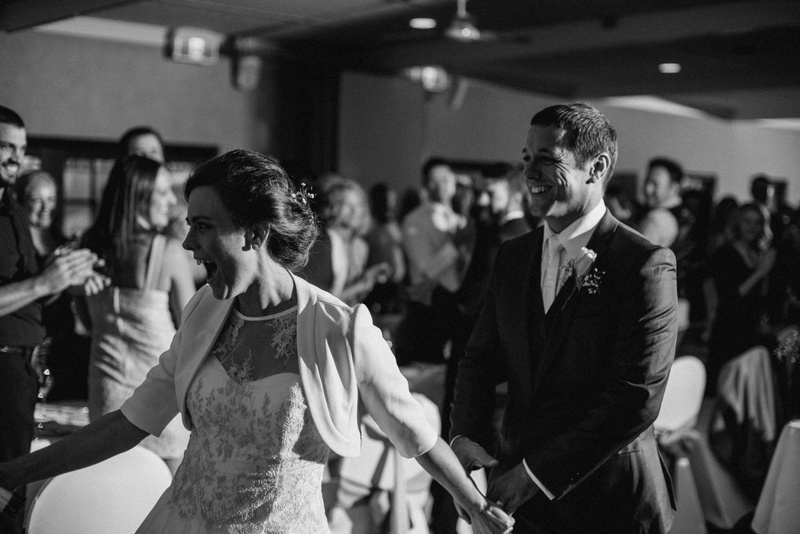 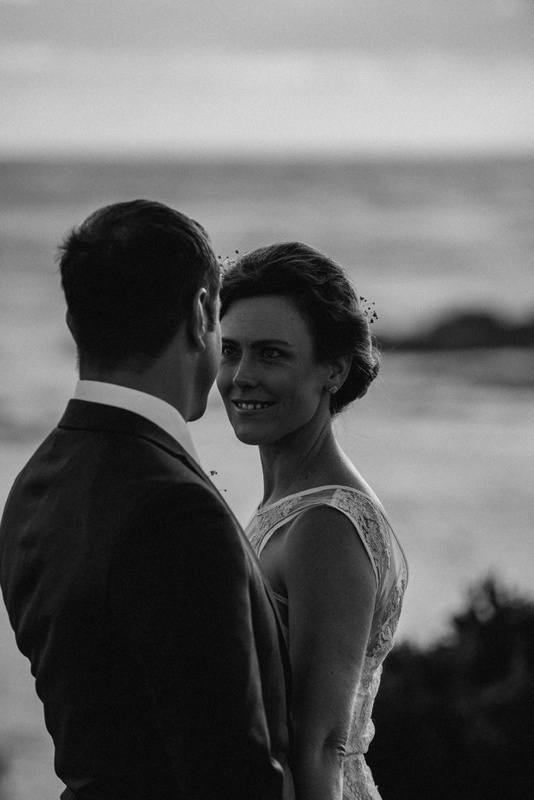 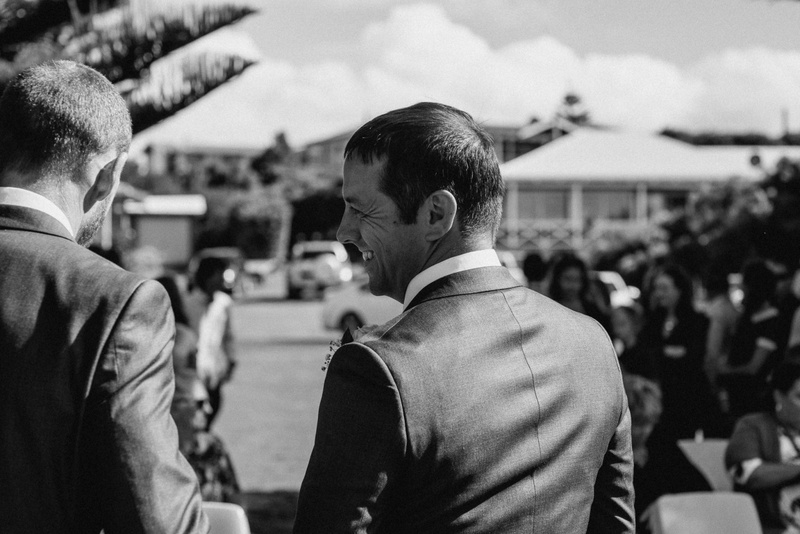 Cape Leeuwin Wedding | Belinda + Richard's Augusta Wedding. 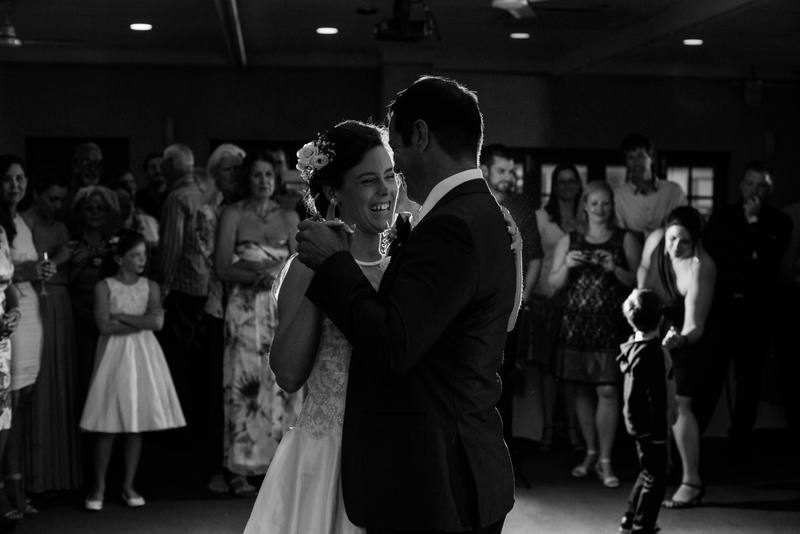 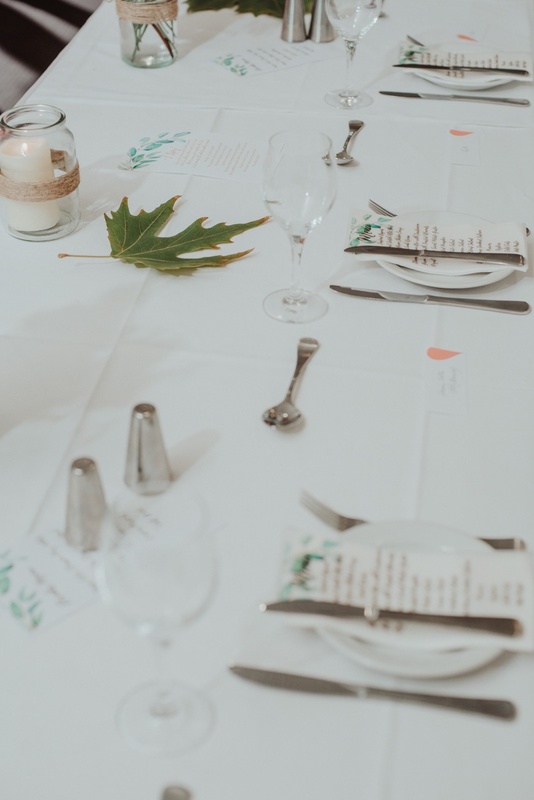 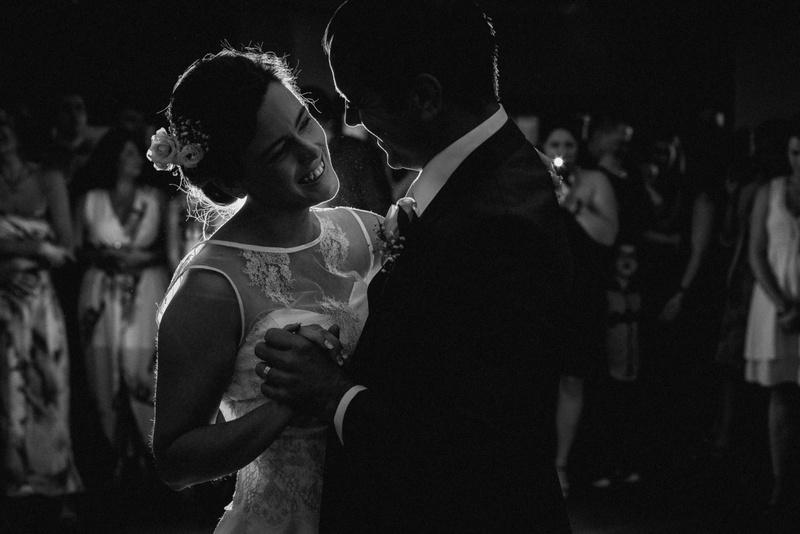 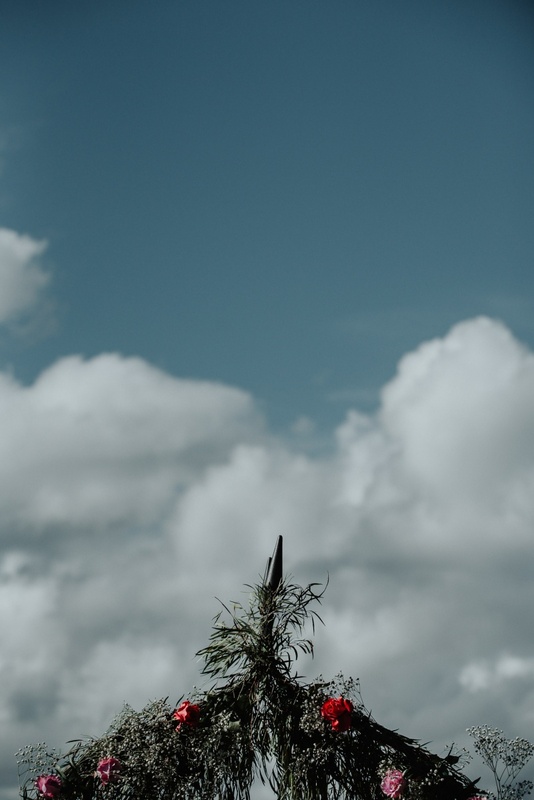 There is something magical about a home town wedding. 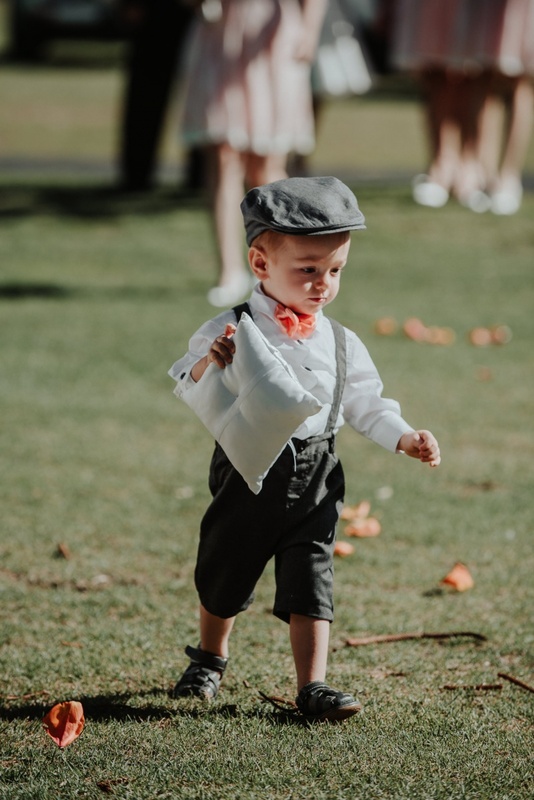 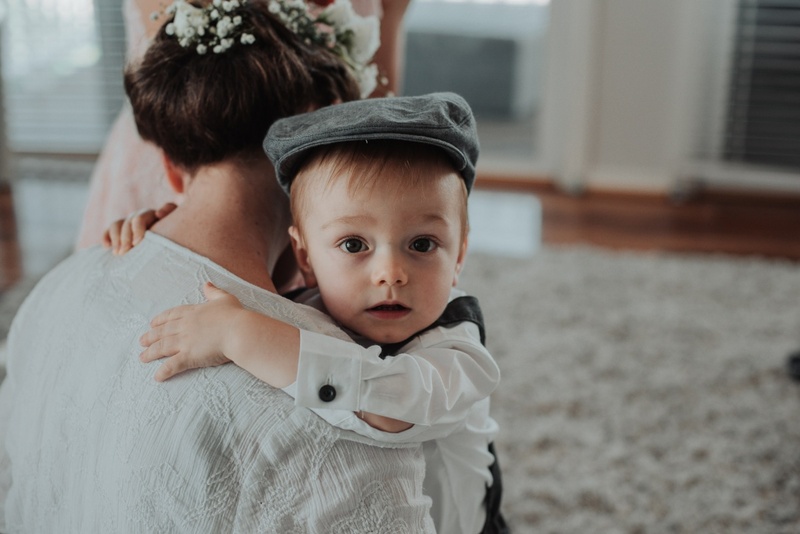 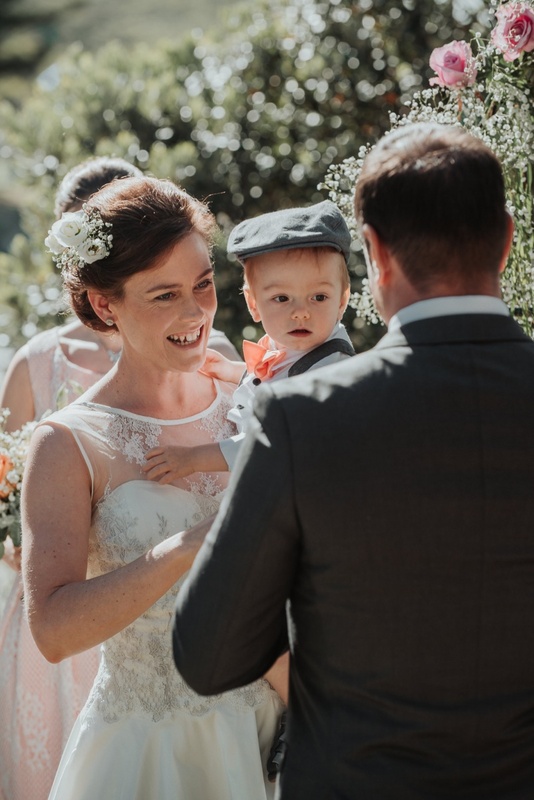 Belinda was fortunate enough to share the picturesque town of Augusta, with her man Richard and their beautiful son Max. 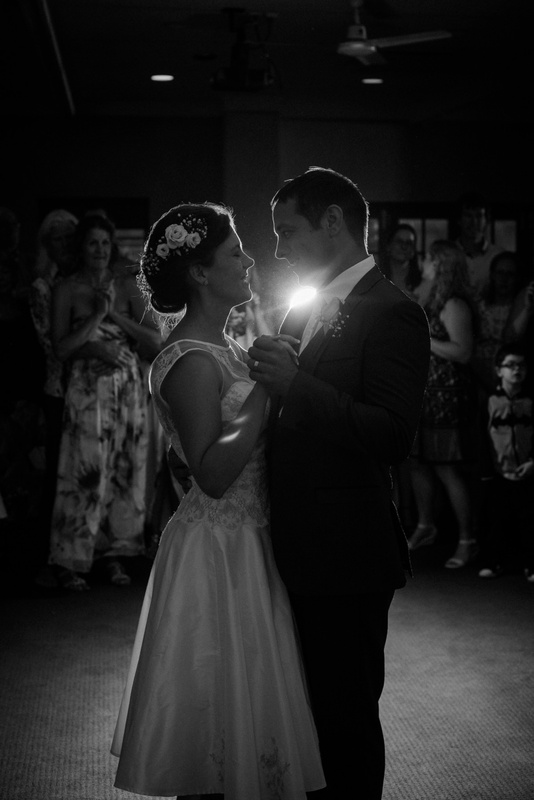 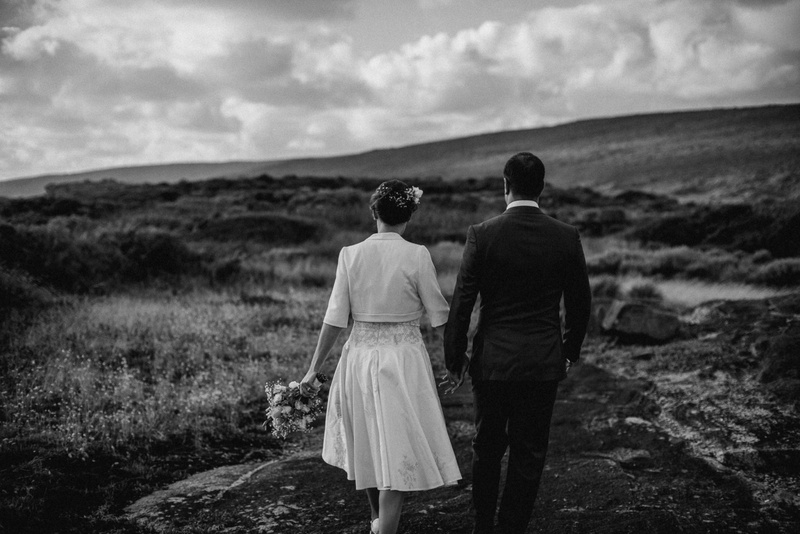 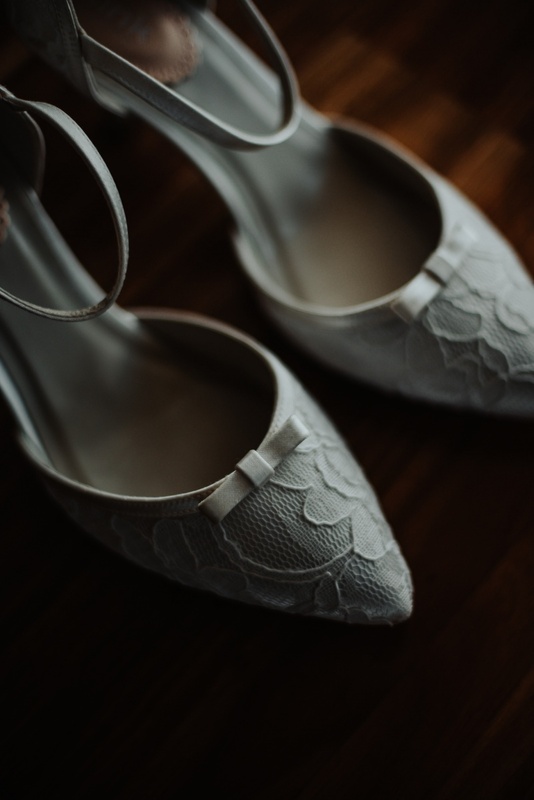 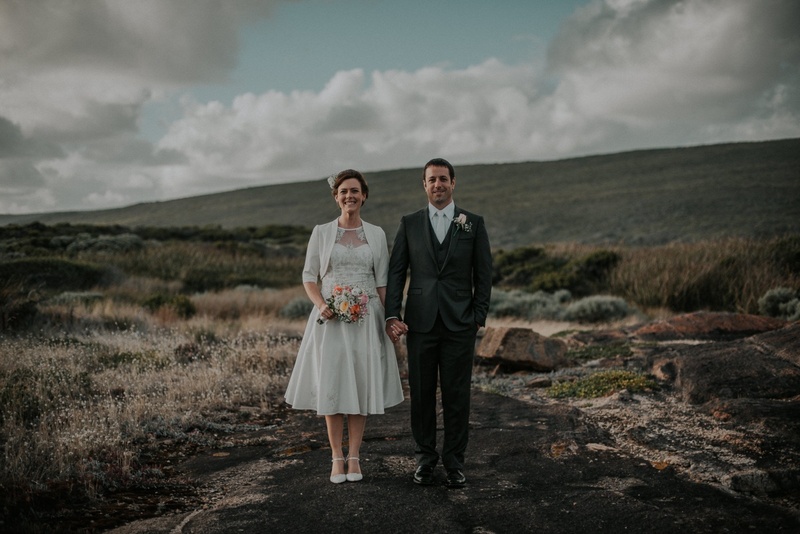 Belinda looked amazing in her short vintage inspired dress and her heels that handled off road conditions perfectly. 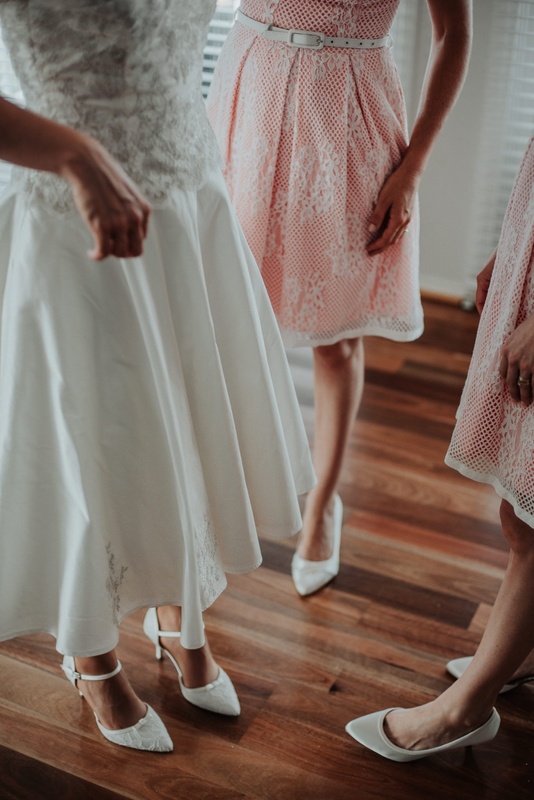 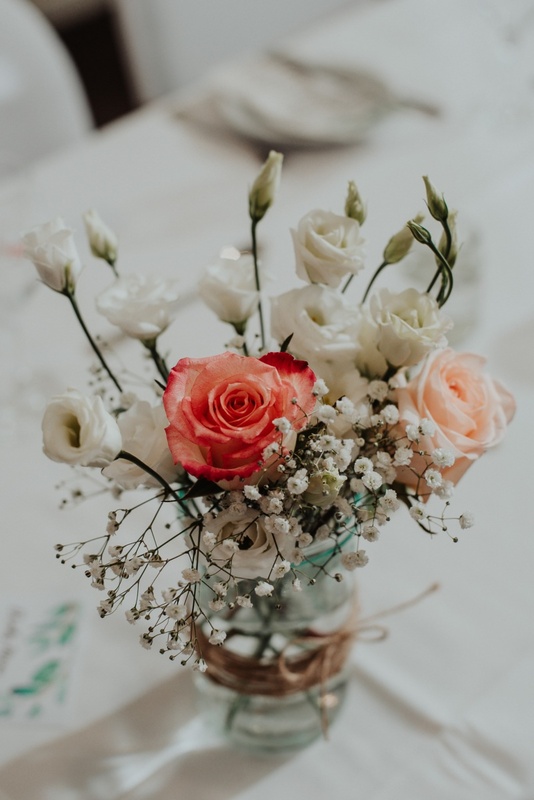 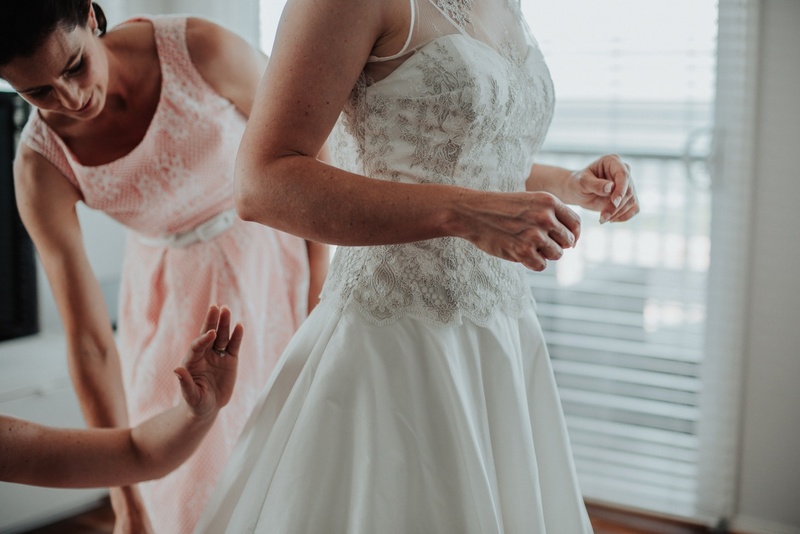 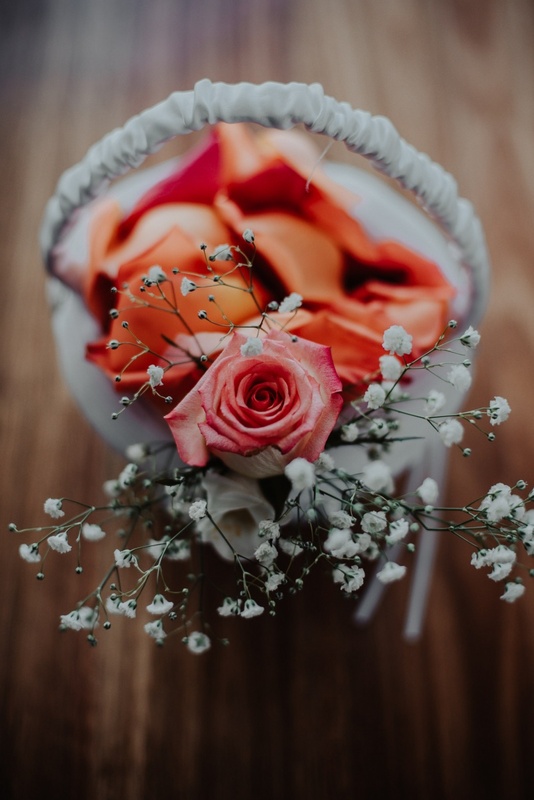 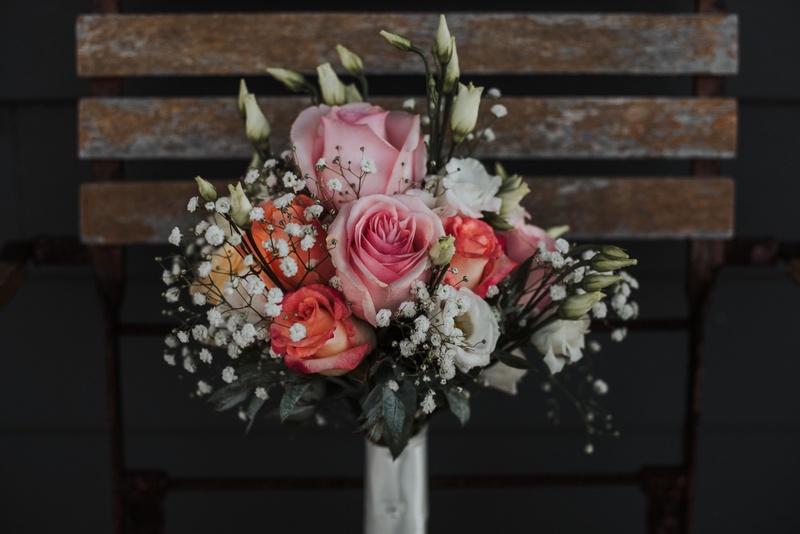 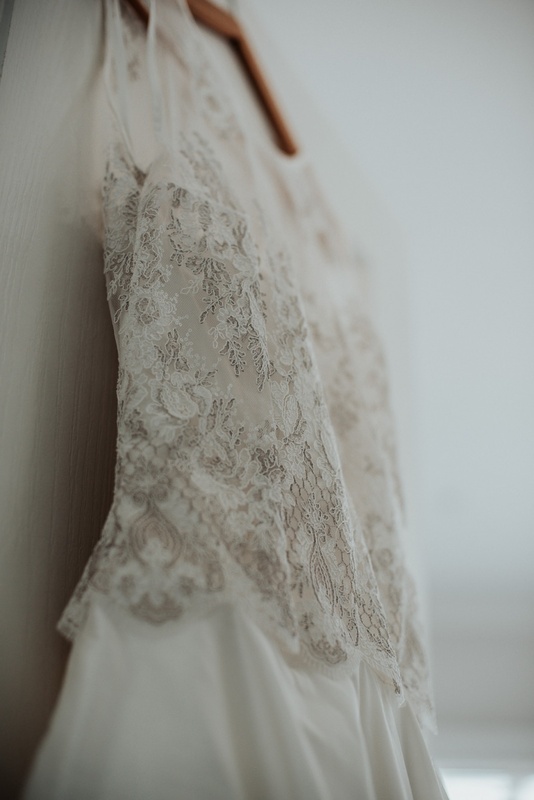 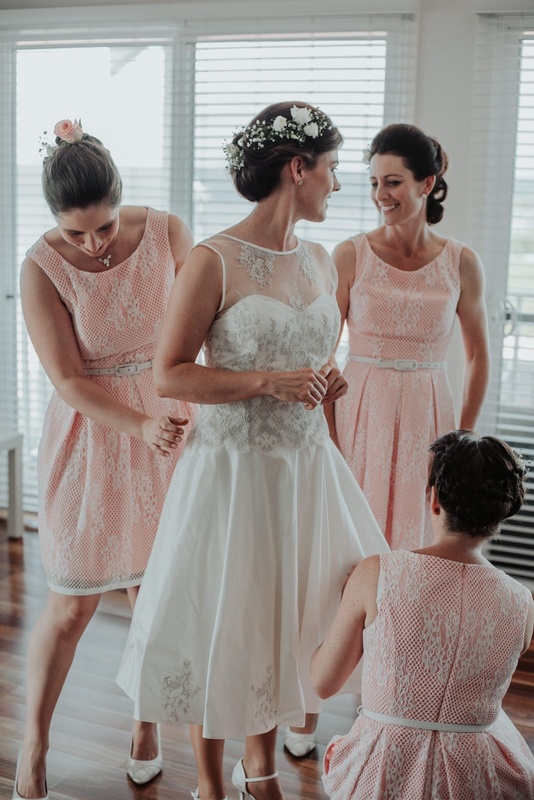 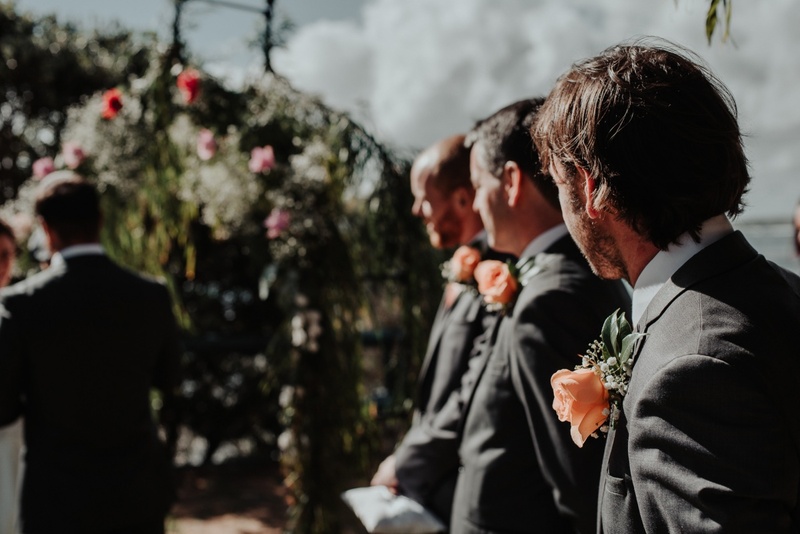 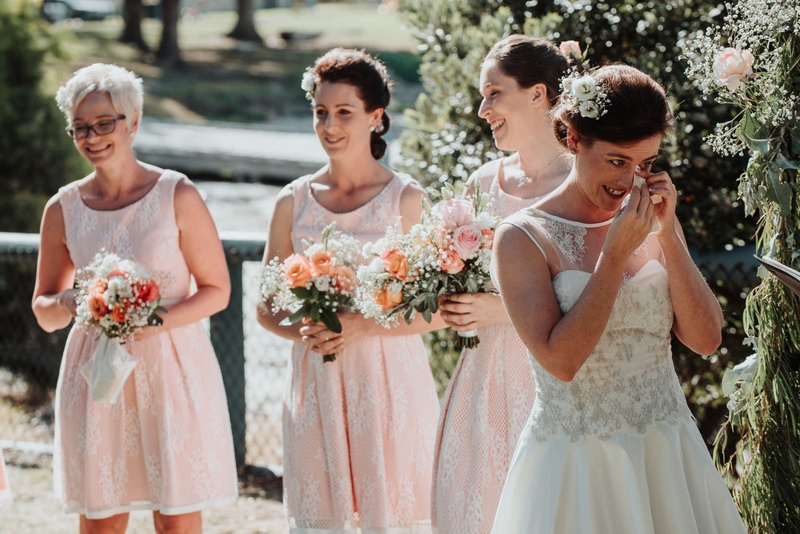 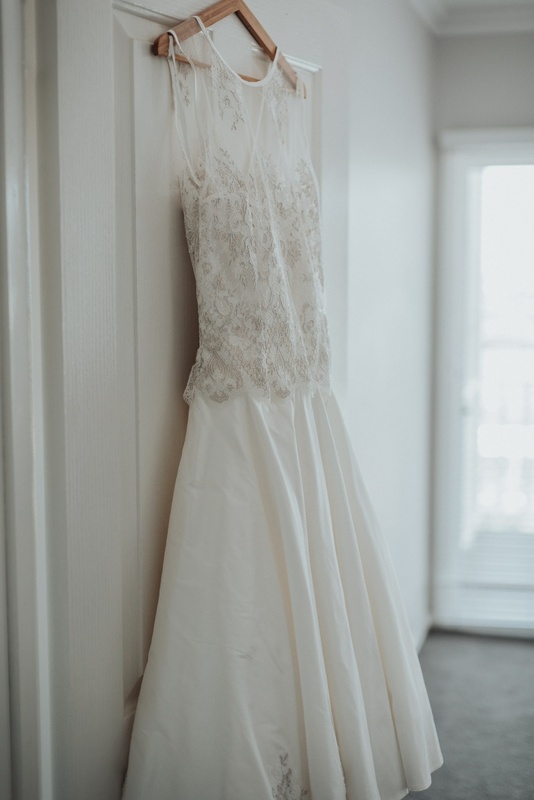 Her bridesmaids wore classical peach and lace dresses, complimented with homemade rose bouquets. 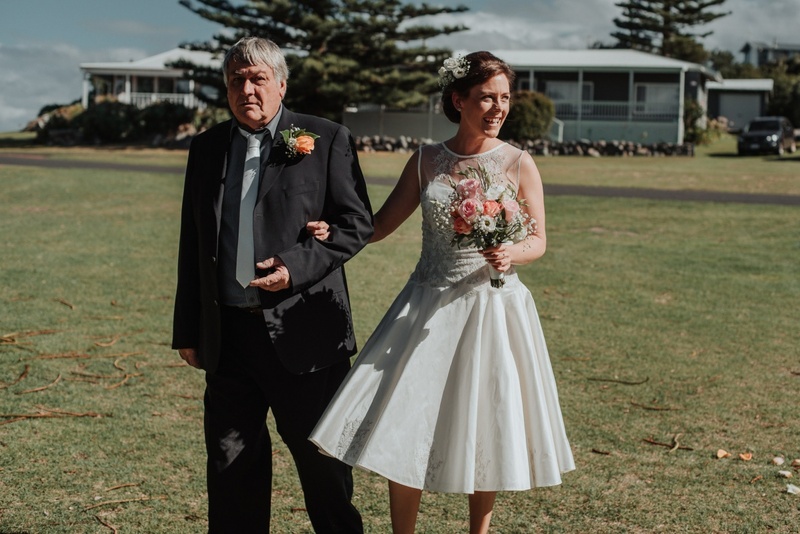 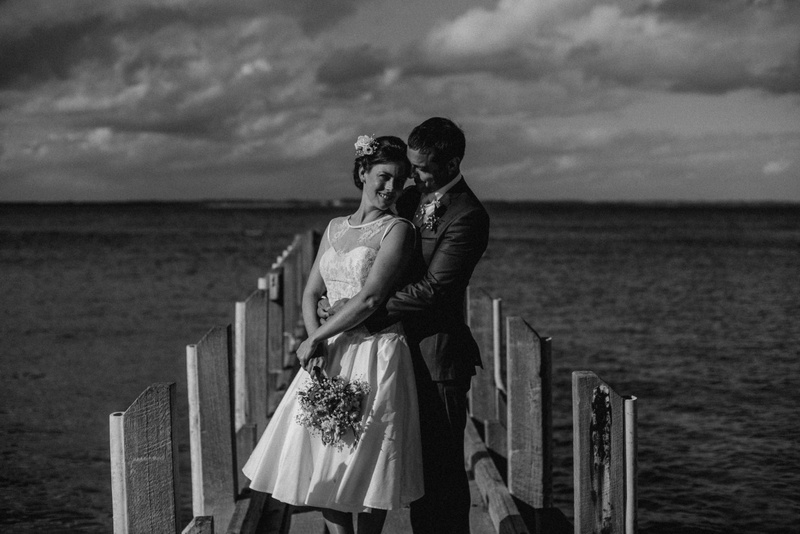 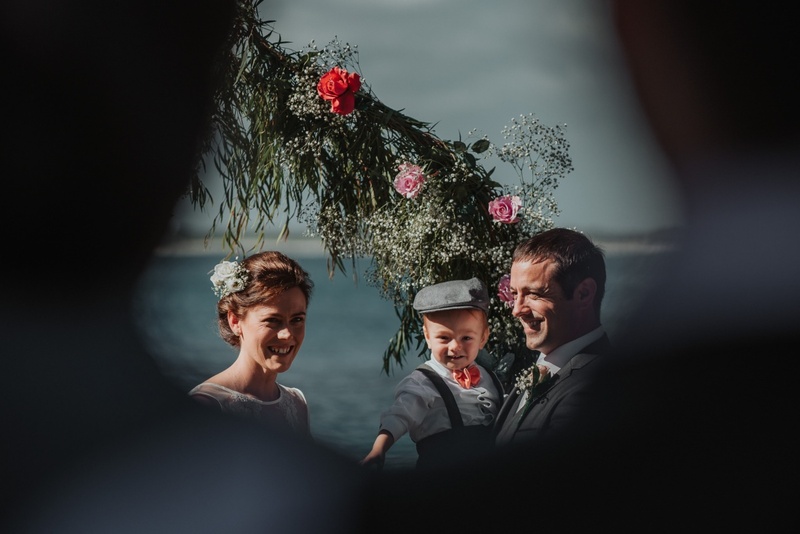 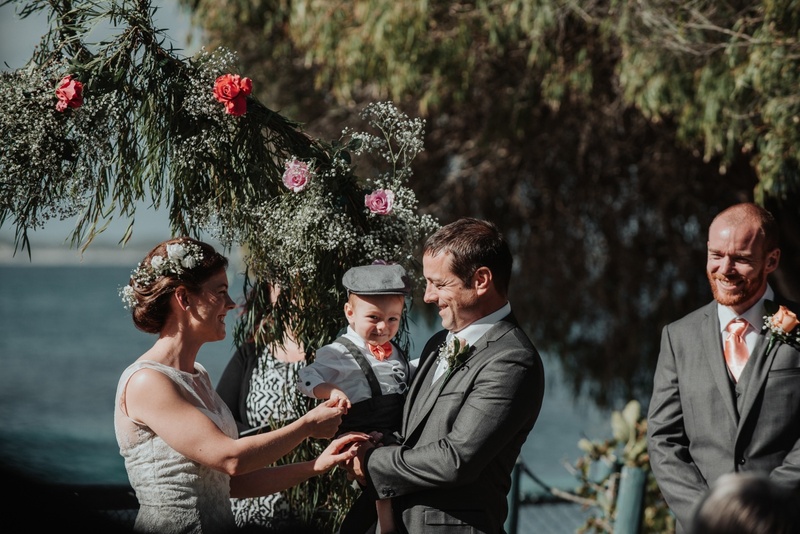 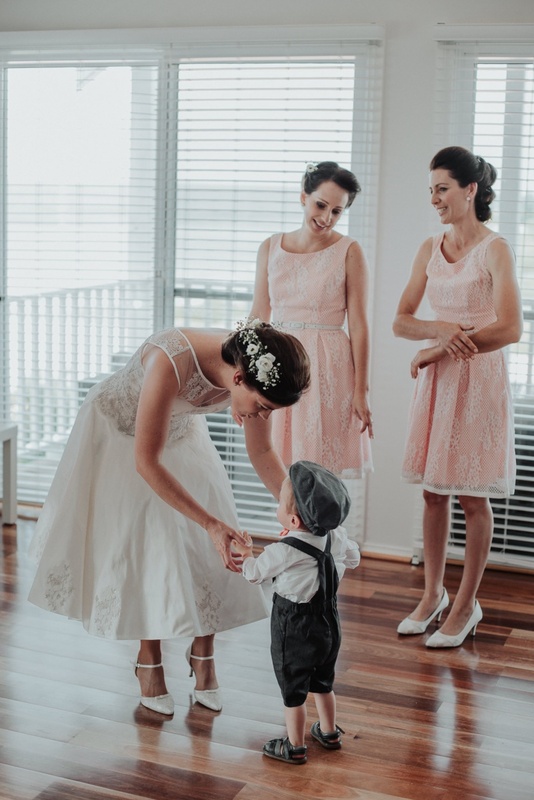 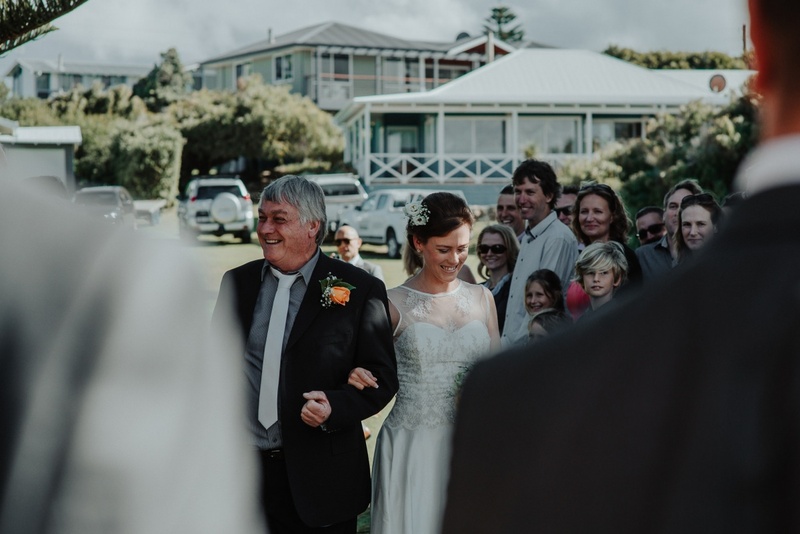 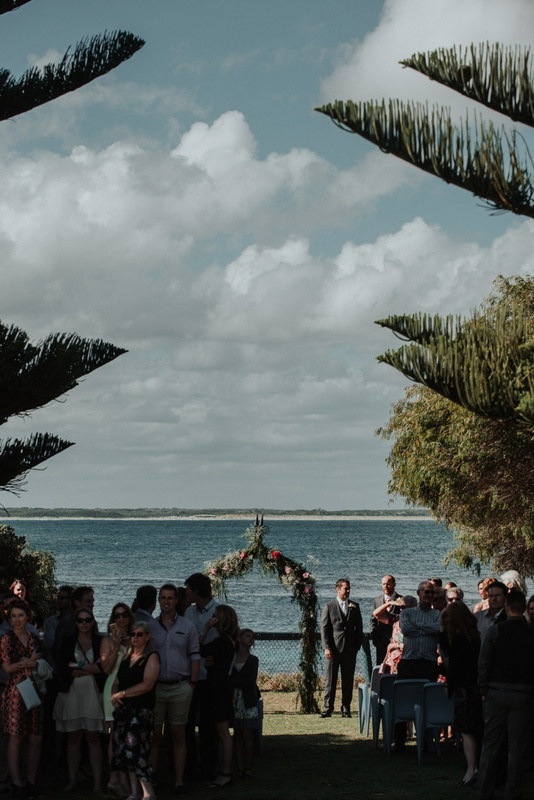 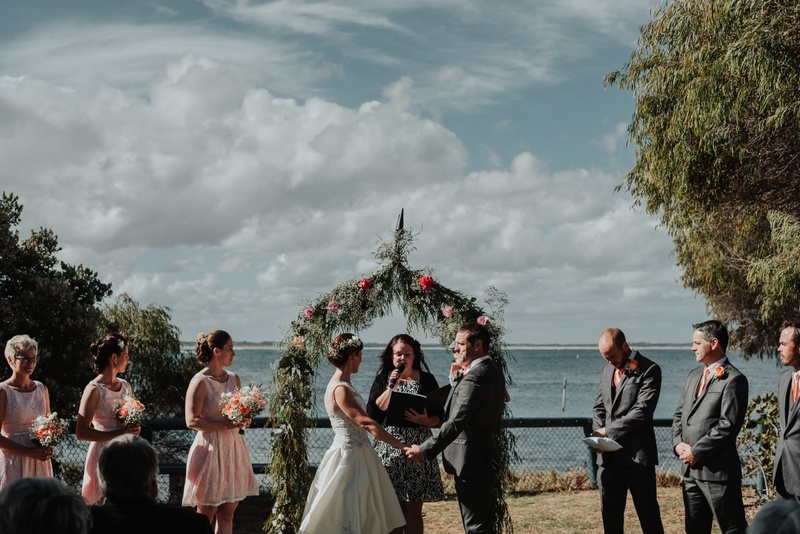 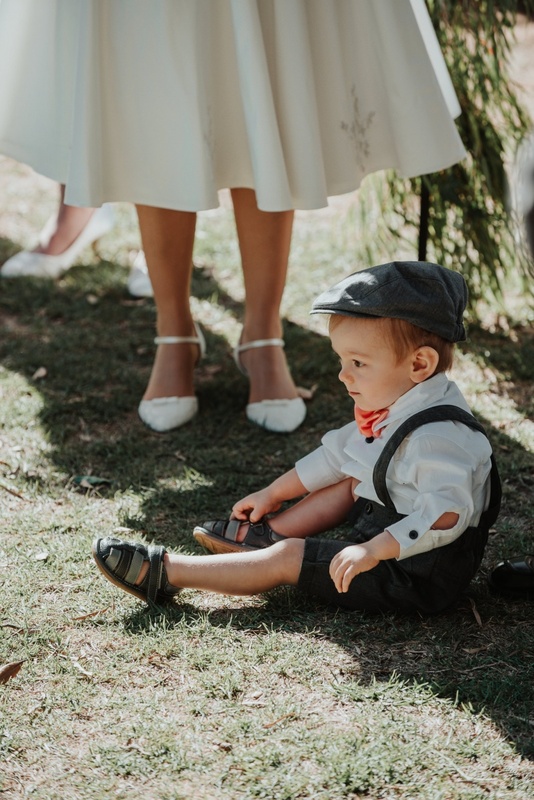 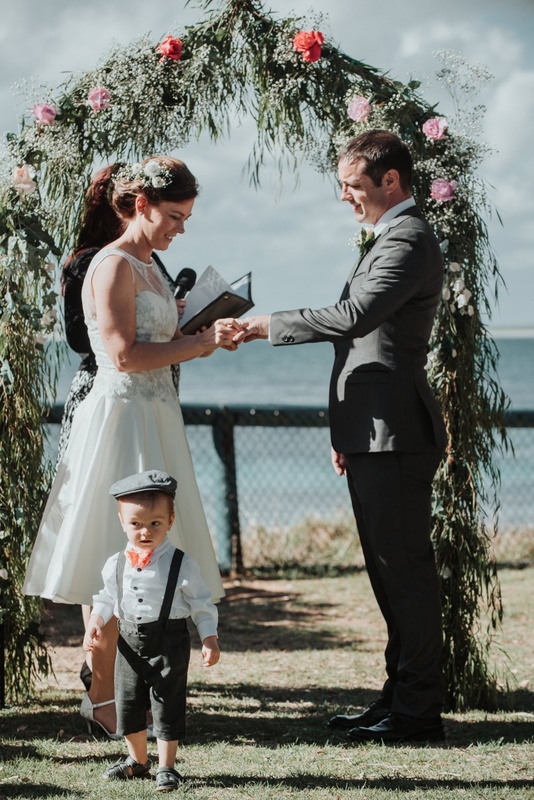 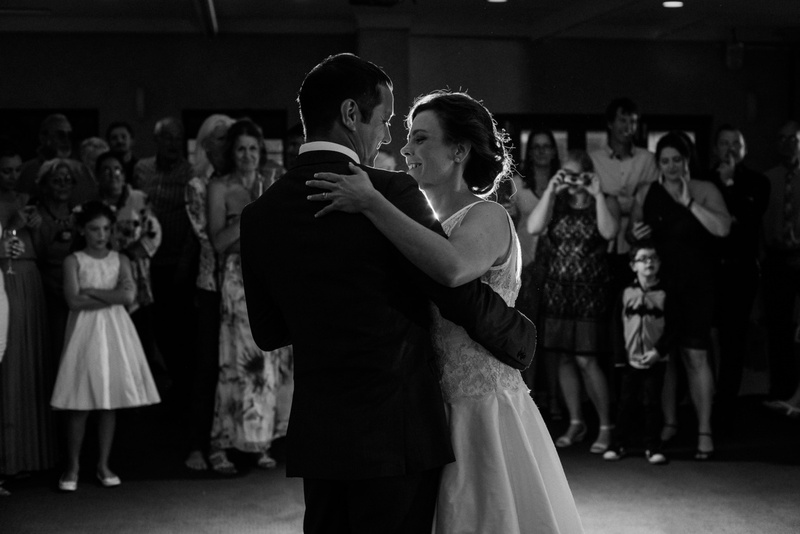 Belinda and Richard shared a beautiful and emotional ceremony at Flinders Bay, lead by Belinda Robinson, with little Max by their feet. 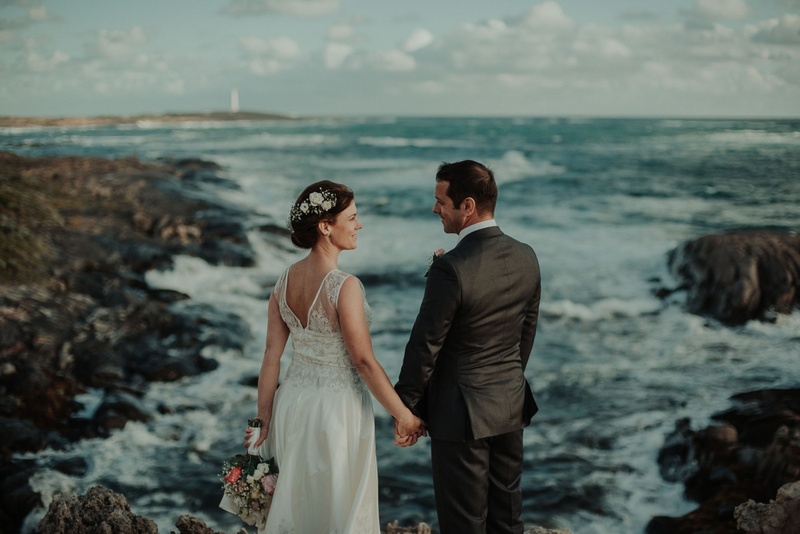 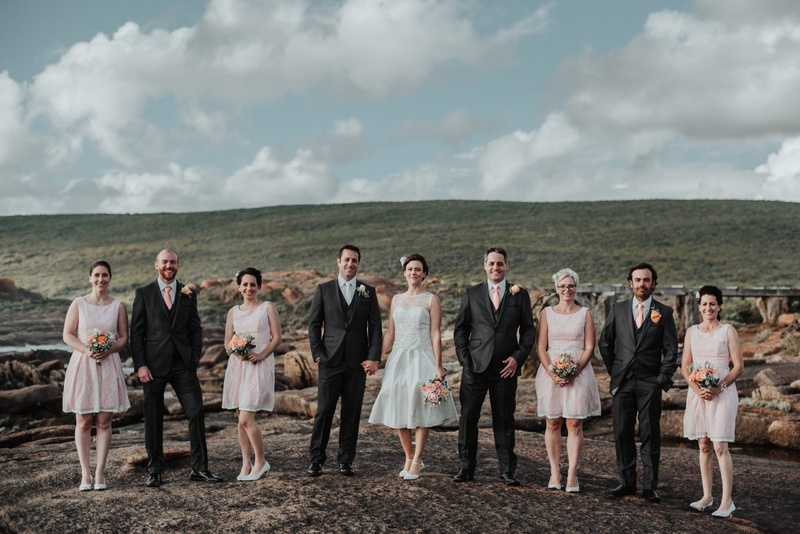 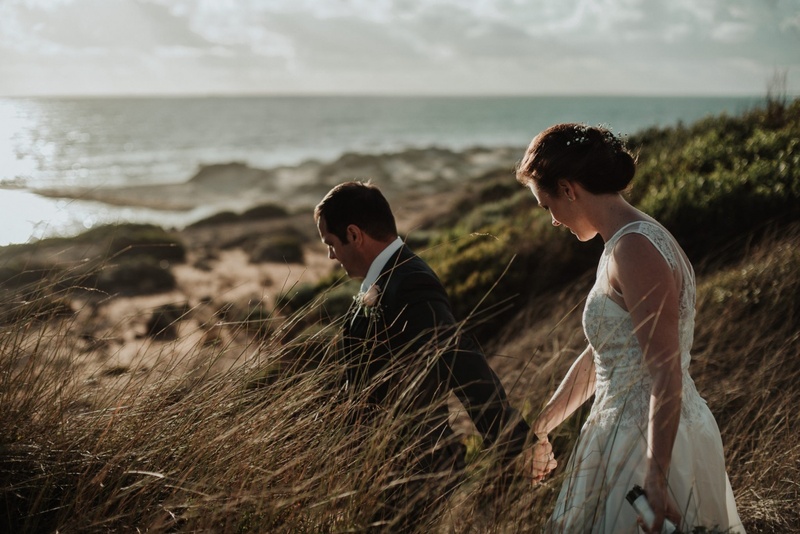 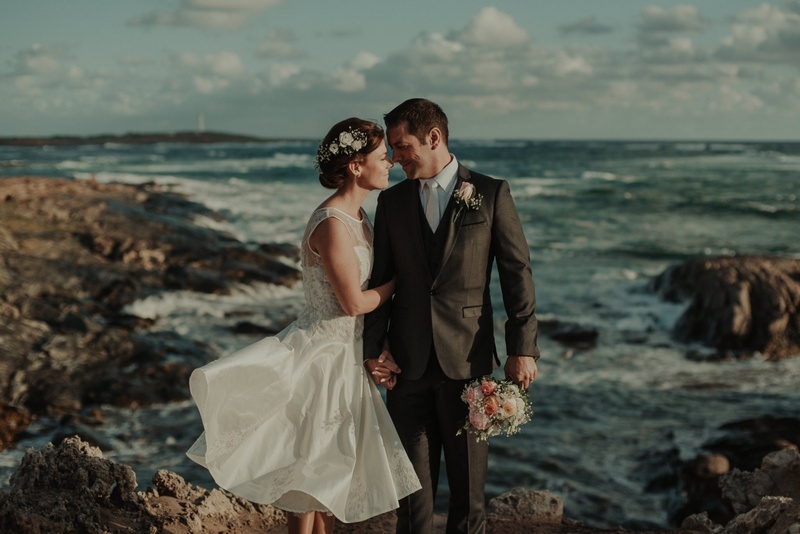 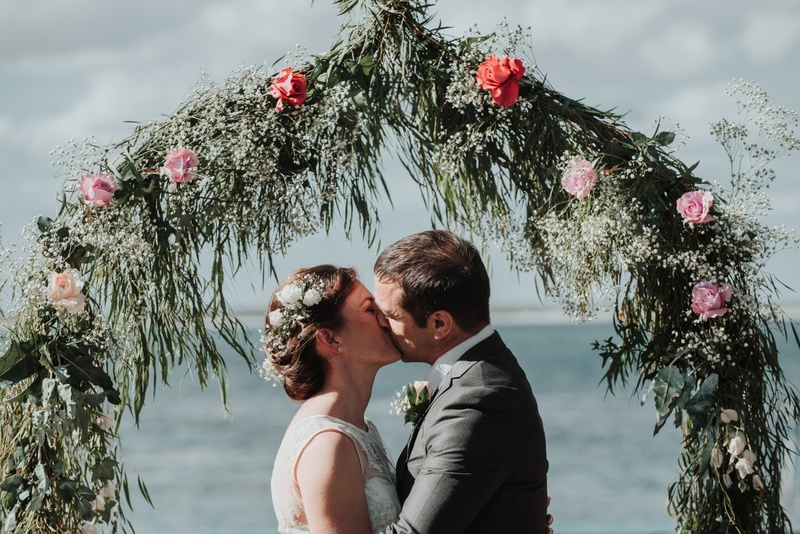 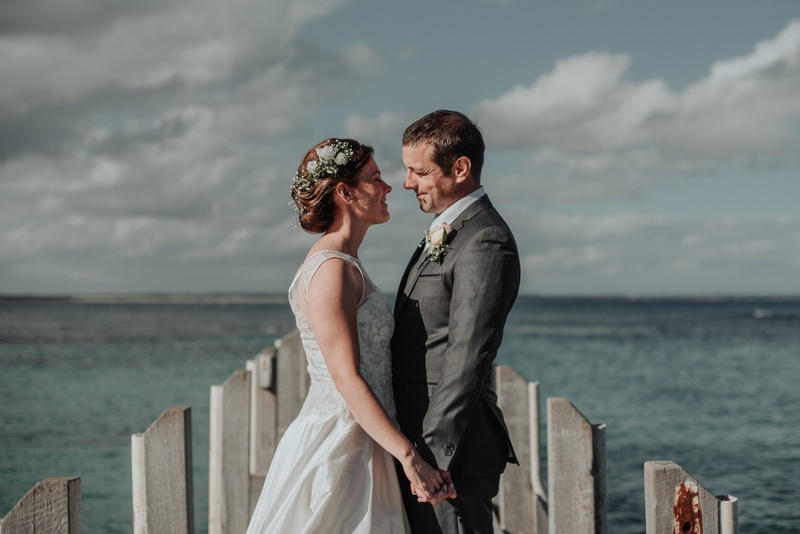 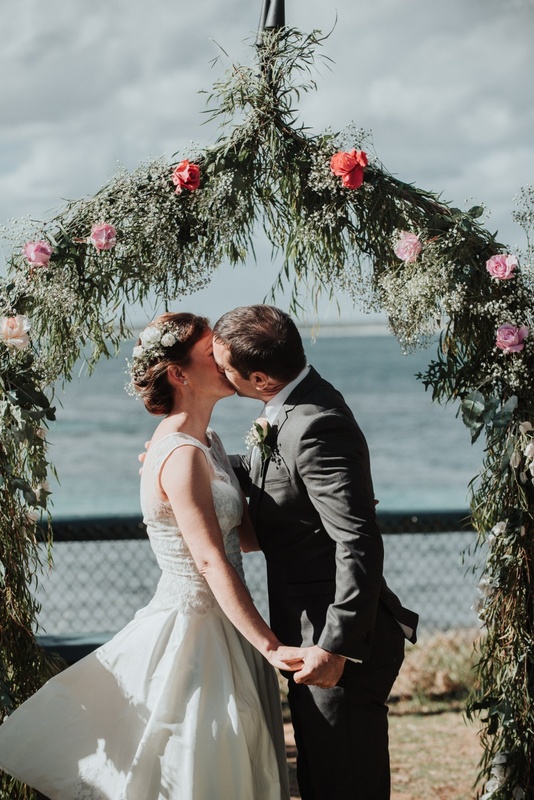 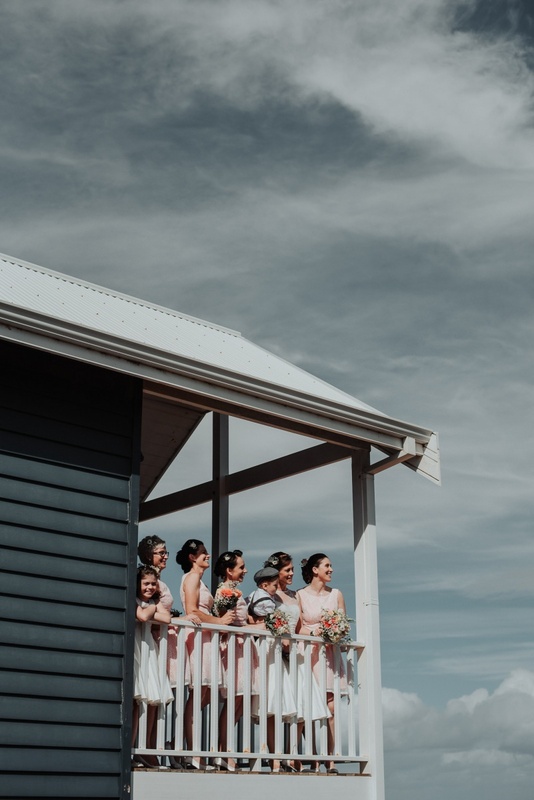 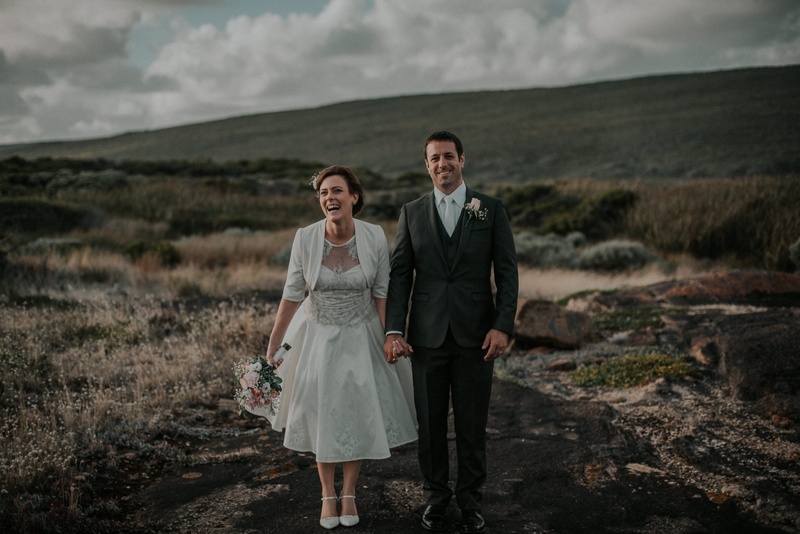 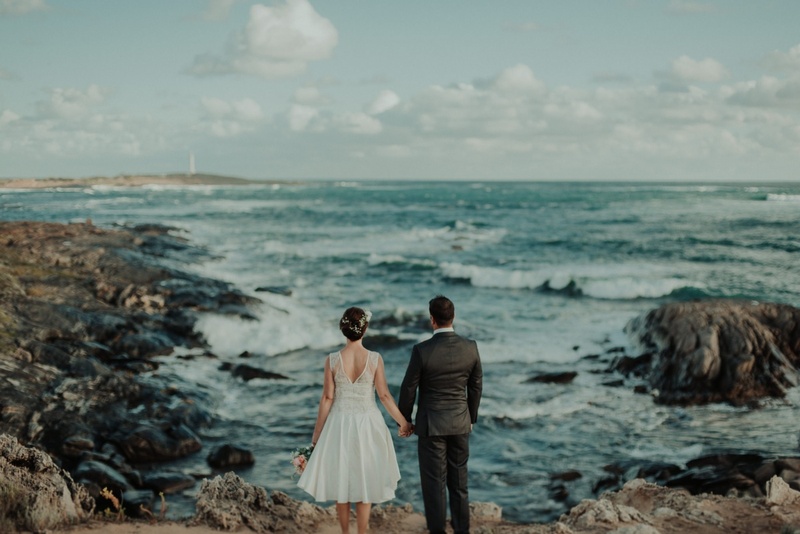 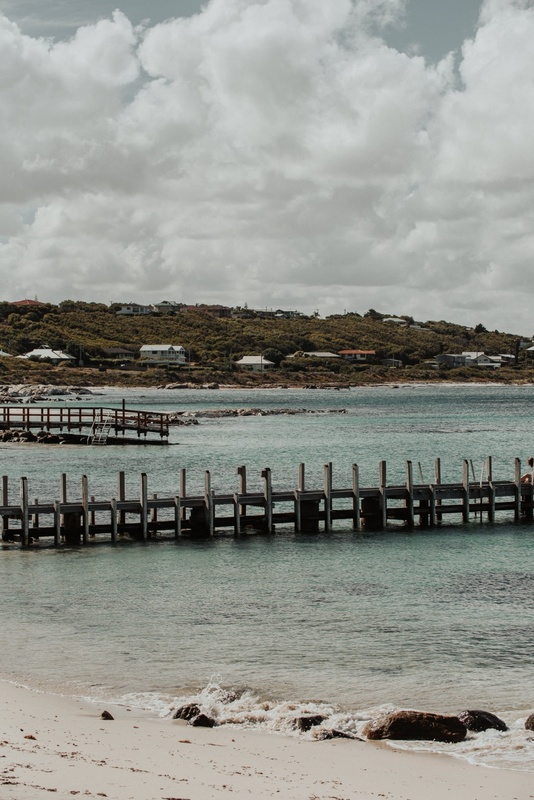 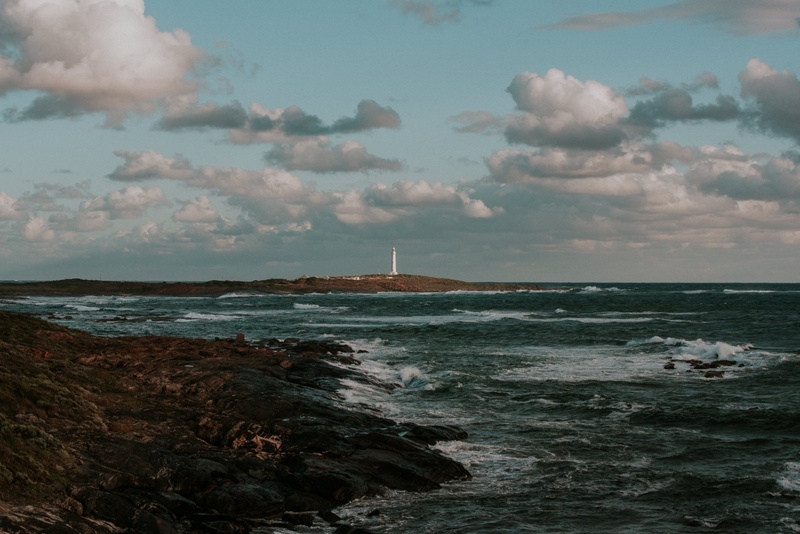 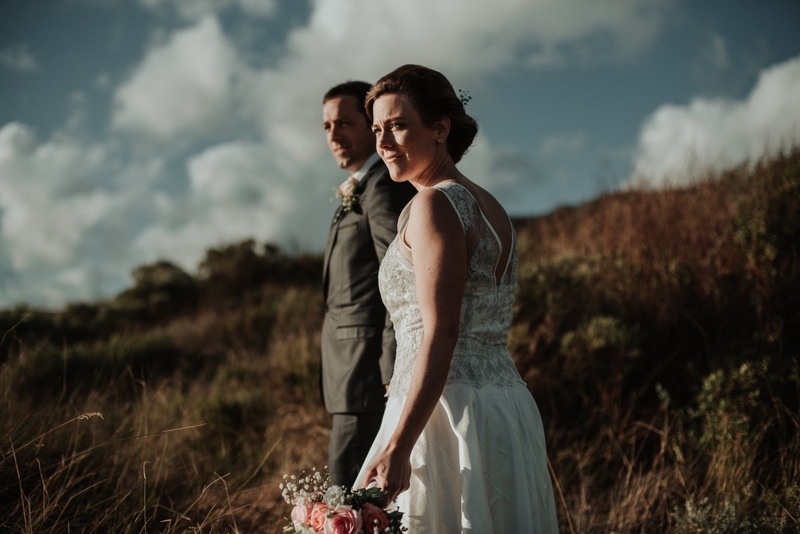 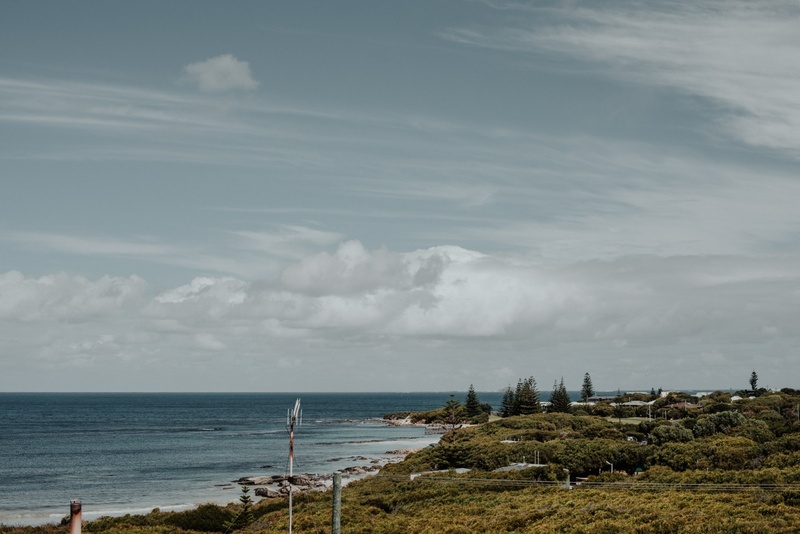 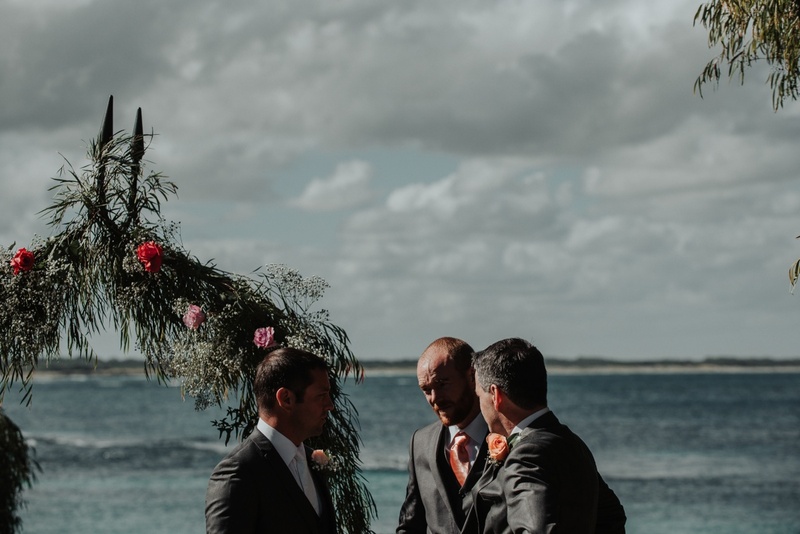 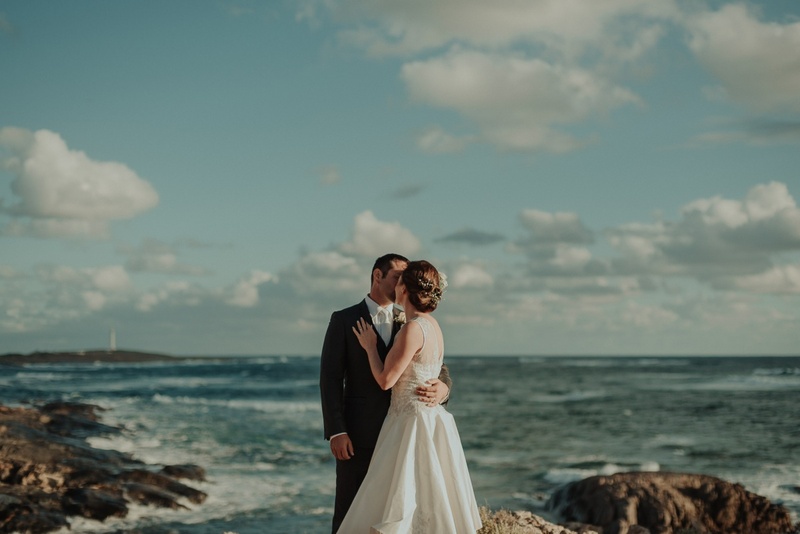 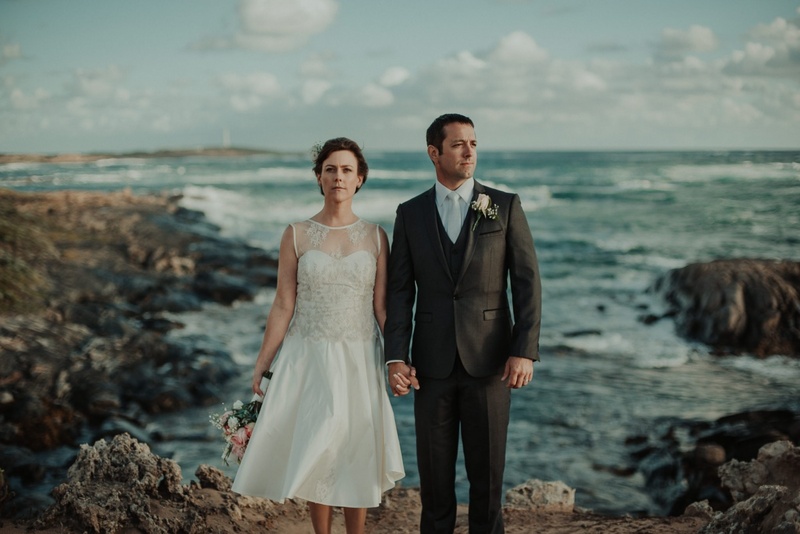 We kept things safe for the bridal party photos, seeking shelter from the wild southerlies , but Belinda was itching to head over to her favourite part of the coast so in the car we hopped and headed out to Cape Leeuwin, where the Indian Ocean meets the Southern Ocean. 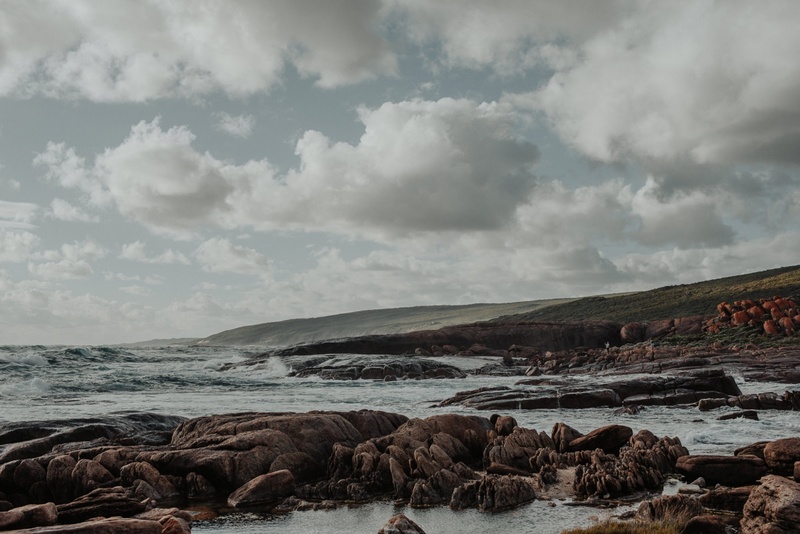 This rugged and wild part of the coast is a favourite of ours too and did not disappoint. 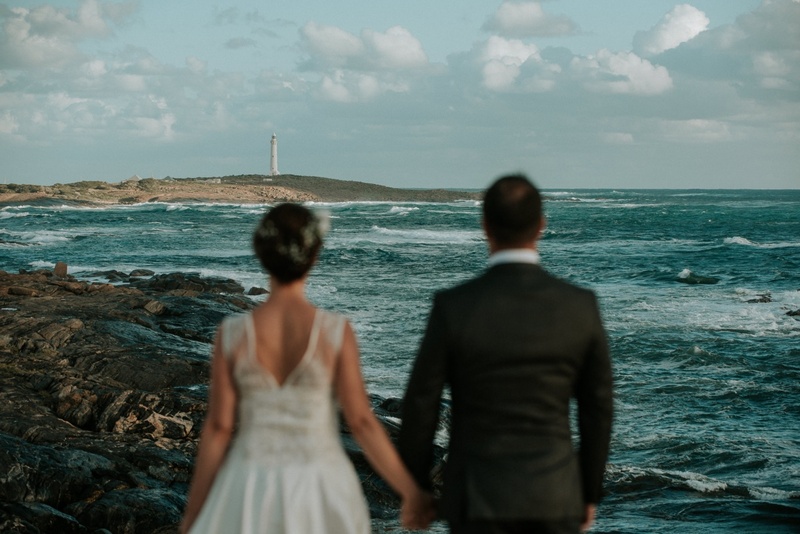 With icy wind and huge waves, leaving us all speechless. 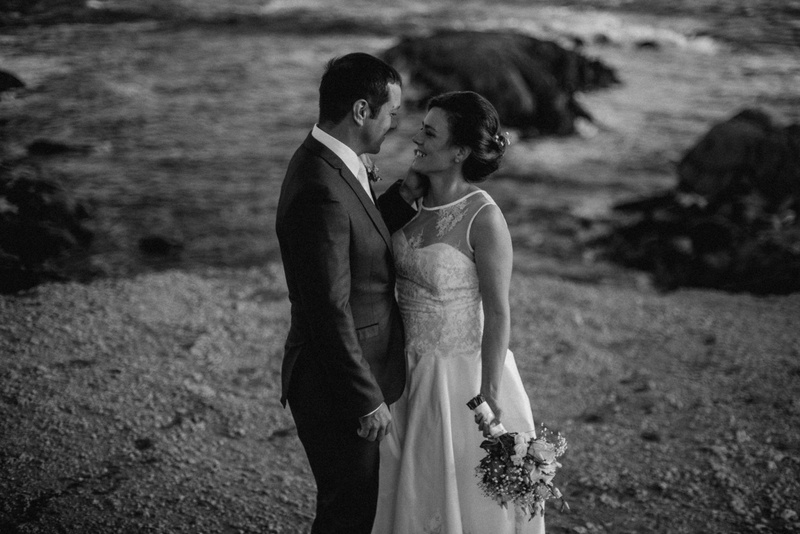 Belinda and Richard kept each other warm sharing some romantic moments on large cliffs. 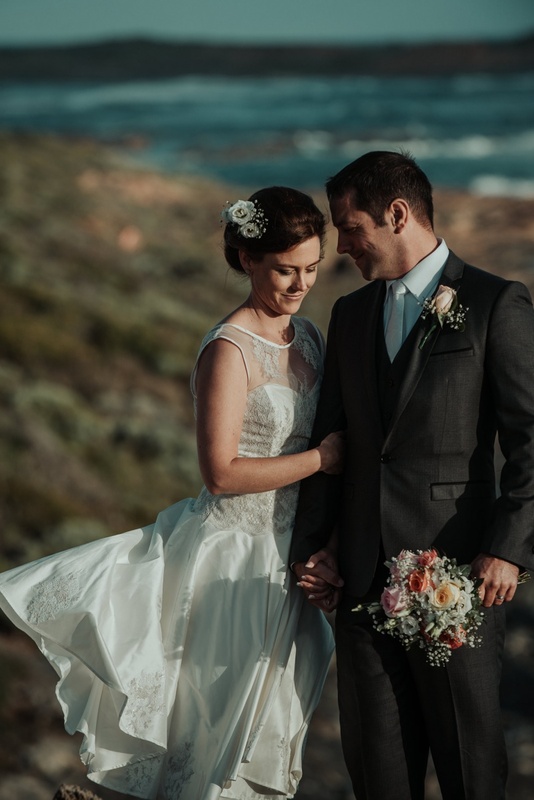 Thank you Cape Leeuwin, and Belinda and Richard. 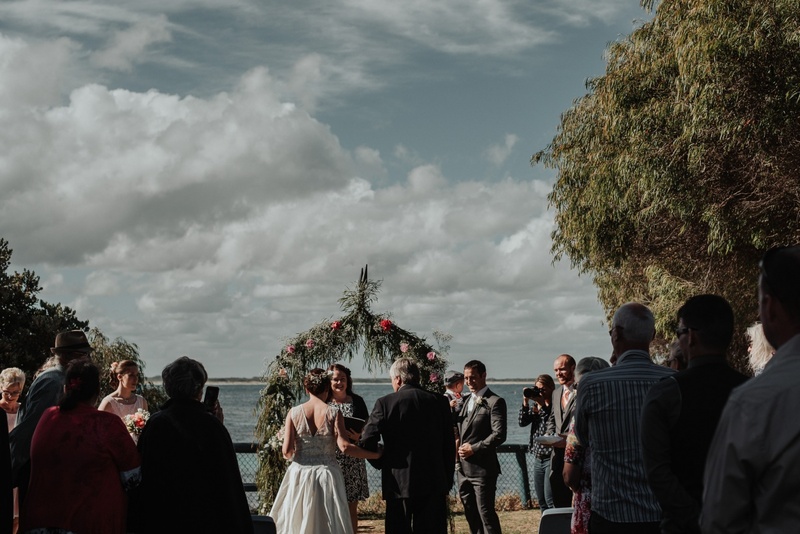 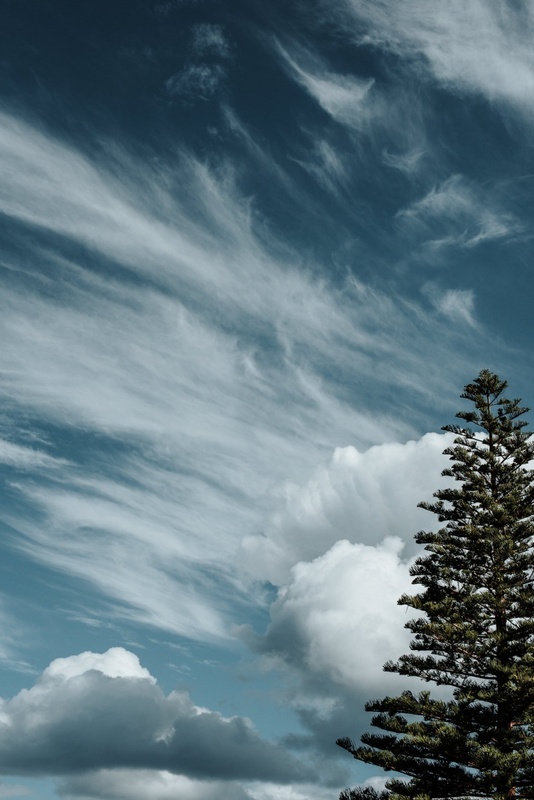 After milking every last bit of light we could, we headed back to the Augusta Hotel for wining, dining, cake eating and dancing the night away.